A load of classic paintball magazines arrived! This entry was posted on August 7, 2012 by Dan Bacci. 200 magazines arrived today from TX. Ranging from 1987 frontlines to 2001 apgs. 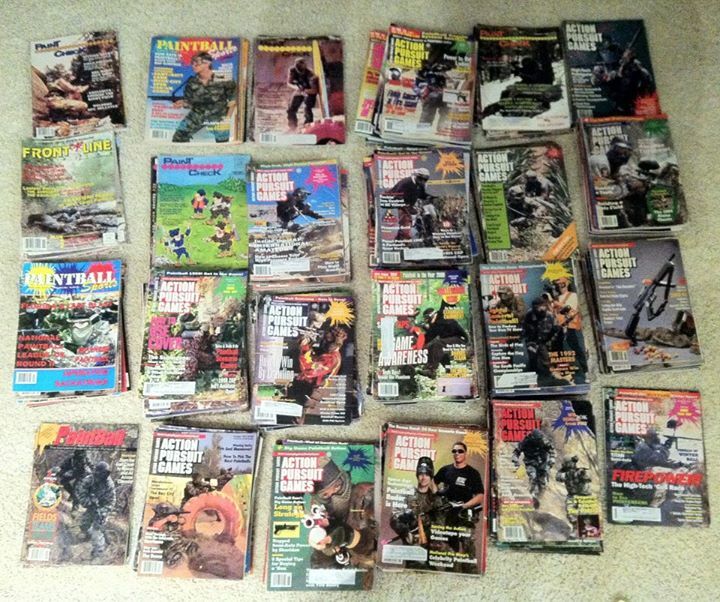 Did you ever find more Action pursuit magazines 1989 Aug issues ?????? ?